The Mission Center is leading the development of Missouri’s Healthcare “Co-Op,” a new form of nonprofit health insurance carrier that will provide coverage for nonprofits and the clients they serve. The Mission Center’s (TMC) created an innovative, statewide insurance consortium in 2010 that has allowed nonprofits from across the state to band together in an effort to increase their bargaining power in the healthcare market. 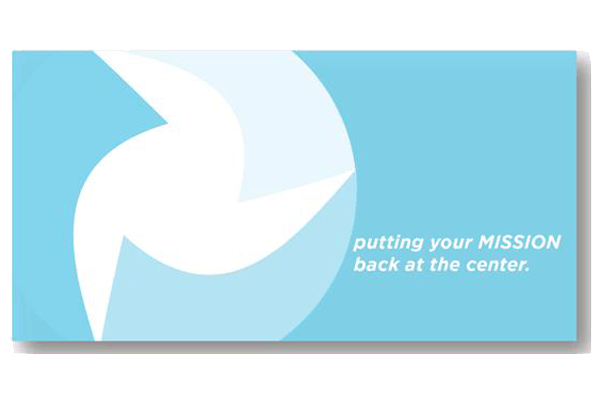 For years, nonprofits asked sector leaders for this support and in direct response to that need, TMC answered with The Mission Center Health and Welfare Benefits Plan which now has over 70 organizations participating from across the state. Now that we’re on the cusp of the most sweeping healthcare reform in generations, however, The Mission Center is leading the development of a Community Oriented and Operated Plan, or Co-Op, for the state of Missouri. The Affordable Care Act created the opportunity for TMC to develop this new form of tax-exempt health insurance carrier on behalf of its nonprofit members and the clients they serve, and the Federal Department of Health and Human Services is facilitating its capitalization. As a result of the ACA and with the generous support of The Missouri Foundation for Health (MFH), The Missouri Community Healthcare Co-Op (TMC Healthcare Co-Op) was formed by The Mission Center in order to ensure that its current and future nonprofit healthcare consortium members will continue to have the greatest number of health insurance options throughout the implementation of the Affordable Care Act. Co-Ops are grassroots organizations that are governed by a Board of Directors comprised primarily of health plan members. The direct engagement of health plan members will promote consumer-led innovation and create competitive strength against traditional carriers in the individual and small group markets. All excess revenue over expenses, or profit, generated by TMC Healthcare Co-Op must be used to lower premiums, expand benefits, and/or improve the quality of its members care. Beginning in 2014, TMC Healthcare Co-Op will offer benefit plans through the Missouri Affordable Insurance Exchange, as well as in the open marketplace. Co-Ops are of, and for, the community. The Mission Center’s statewide nonprofit healthcare consortium is uniquely positioned to live into the vision of the TMC Healthcare Co-Op. By offering current members (small group nonprofit employers and their employees) the opportunity to become TMC Co-Op members in January 2014, the TMC Co-Op is creating a mission-driven nonprofit health insurer built in the image of its clients – Missouri tax-exempt, charitable organizations. We believe that Missouri’s Co-Op will be the only one in the country whose community focus will be primarily demonstrated through the engagement of nonprofit employers and, through them, the engagement of their clients – the individuals most in need of affordable, high-quality health insurance, whose wellness so greatly impacts our community – and precisely those for whom the new Affordable Insurance Exchanges were created to assist. Premium Payment Support. In Missouri, 775,000 of the 914,400 uninsured persons are between the ages of 18 and 65. In addition to acting as an insurance access point for populations at or below 133% of federal poverty level who will qualify for coverage as part of an expansion of MO HealthNet (Missouri’s Medicaid program), many clients of the member organizations will qualify for premium subsidies through the Affordable Insurance Exchange. Access to Quality Care. TMC Co-Op’s leadership and broad base of bi-partisan supporters is comprised of a statewide network of professional health and human service providers, arguably those already most adept at helping their clients navigate complicated federal and state programs. The collective knowledge of this team will be particularly important as the Missouri Affordable Insurance Exchange will be responsible for verifying eligibility and communicating the rules of this new marketplace and plan options to its new consumers. The TMC Co-Op will support the Exchange in its mission to create healthier communities through access to high-quality, low cost insurance for the greatest number of those who are currently under and uninsured. The Mission Center’s efforts have garnered the support of public servants like the Reverend Jerry Paul, Scott Lakin, Ron Levy, Peter Ruger, Dr. Karen Edison, Alan Freeman, John Tyler, Rep. Jeanne Kirkton and The Missouri Foundation for Health, among many others. Through their support and leadership – in addition to that state’s most experienced healthcare, political and nonprofit leaders – the TMC Healthcare Co-Op is on track to fundamentally improve healthcare for the organizations and people it serves. For more information about The Mission Center L3C’s development of a Healthcare Co-Op for the State of Missouri, please contact Chris Miller, CEO of The Mission Center L3C, at chris.miller@missioncenterl3c.com. For more information about how your organization can join the existing consortium of over 70 nonprofits from across the state, please contact Christy Maxfield, CFRE, Executive Vice President of The Mission Center L3C, christy.maxfield@missioncenterl3c.com or visit us online.